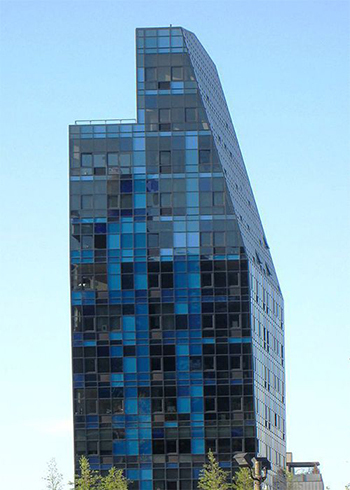 105 Norfolk Street, also known as the Blue condominium, is a 17-story glass building designed by architect Bernard Tschumi. Due to the constraints of the New York City zoning laws and technical requirements, the design and construction of the building was a challenge. The unique design required over 30 reconsiderations and waivers. Outsource was successful in the transferring the of floor area district boundaries with approvals by both the DOB and City Planning.